It is a well-known fact that the cost of stationery occupies main portion of non-salary expenses. In other words, a huge amount of expenditure is incurred on stationery in every type of business concern. Hence, it is advised that the office manager should take necessary steps to avoid unnecessary purchase of stationery and ensure that the cost of stationery is under control. Here, some of the suggestion is given for minimizing the cost of stationery. 1. The centralized purchase department buys the stationery based on requisition made by different departments. 2. The responsible executive of an organization should approve every purchase. 3. The factors affecting the purchasing of stationery should be taken into account before making every purchase. These factors include suppliers, availability of store space, quantity of stationery required, availability of finance, quality, nature of stationery, and cost of storage, stock level, economic order quantity, risk of obsolescence and the like. 4. The best possible method of buying must be followed for every item of stationery. 5. The purchasing officer should compare the standard of stationery available in the market and the standard fixed by the organization. 6. The stock room should be clean and dry and kept under lock and key. 7. There should be proper handling of stationery and proper preservation facility should be made in the stock room for every item of stationery. 8. Poor storage facility leads to heavy losses in several ways. 9. Each item of stationery should be easily accessible and code number is allotted for clear identification of stationery. 10. The location of stock room should be in a central place to all the departments. If so, they can get their requirements without any delay. 11. A separate person should compare the quantity and quality mentioned in the invoice and the actual while purchase of stationery. If there is any discrepancy it should be brought before the notice of responsible officer. 12. The stationery should be issued only on the production of written requisition only signed by the departmental head. 13. Minimum and maximum requisition of stationery is also fixed for easy accounting. 14. 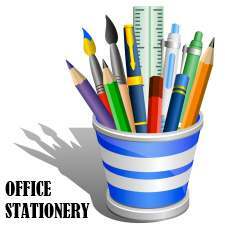 Proper care should be taken to avoid unnecessary and personal utilization of office stationery. 15. Stationery requisition should be made at regular intervals and avoid daily requisition. 16. Proper entries should be made in the stock register and bin card for every receipt and issue of stationery. 17. It should be ensured the departments do not purchase the stationery on their own. 18. 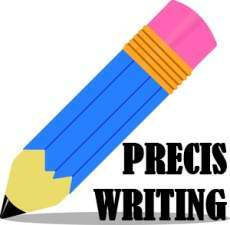 Accounts are prepared in such a way that the cost of consumption of stationery by each department in period wise. 19. The reason for high consumption of stationery has to be enquired and exercise control on the consumption of stationery. 20. The responsible clerk should maintain proper records for each item of stationery. 21. A qualified and experienced person should be in charge of issue of stationery to various departments. 22. A specified requisition form should be used while receiving stationery by various departments. 23. Periodical or perpetual verification of stationery is to be made by the top executive without prior notice.